The first season of “Daredevil” was flawed but exhilarating: it featured thrilling action, compelling themes, and one of the most terrifying villains to ever hit screens in the form of Vincent d’Onofrio’s Wilson Fisk. It was rough around the edges, with a sharp decline in quality towards the end of the season and several underdeveloped characters, but this was forgivable. After all, it was quickly renewed for a second season during which it would be able—and was expected—to fix many of these issues. Well, the second season has arrived, and there is no evidence of improvement. Tragically, this season is actually a huge step backwards on nearly every front, with its infuriating insistence on teasing future plotlines rather than telling a good story. 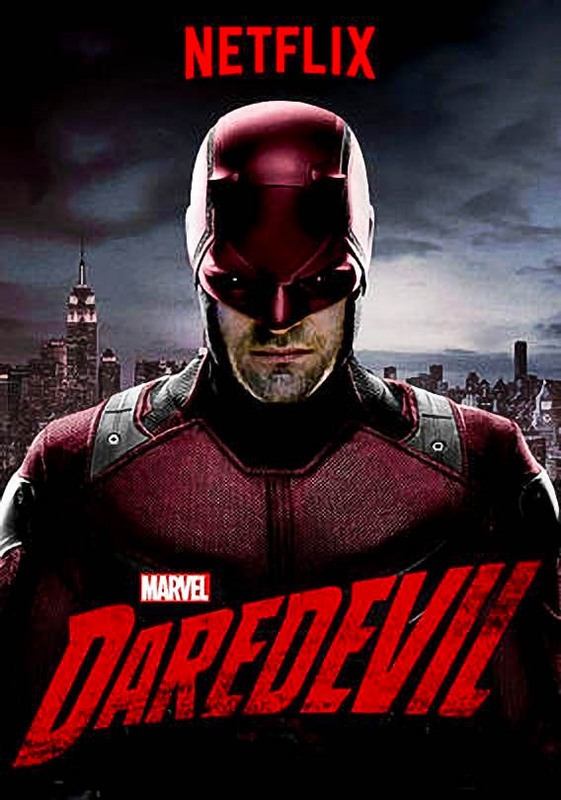 The plot of this second season picks up sometime after the events of “Jessica Jones,” a show set within the same universe as “Daredevil.” Blind attorney Matt Murdock (Charlie Cox) still spends his nights dressed in red, fighting Manhattan criminals as “the Daredevil of Hell’s Kitchen.” He and his best friend Foggy Nelson (Elden Henson) run their financially troubled law firm with the help of Karen Page (Deborah Ann Woll.) Their woes increase after a string of violent assassinations of New York gang members performed by the mysterious and angst-ridden Frank Castle (Jon Bernthal). On top of that, Murdock’s college ex-girlfriend, Elektra (Elodie Yung) shows up in town for her own dubious reasons. You have already picked up on the monotony of this plotline. While the first season had some pacing inconsistencies, the story was tense and terrifying, often fueled by Murdock and Fisk’s violent desire for justice and their surprising emotional vulnerability. But this season, new showrunners Doug Petrie and Marco Ramirez don’t concern themselves with character development, thematic nuance, or even complex conflict. Instead, they drag out dull plot points and throw in arbitrary twists, ignore potentially interesting character development, and relentlessly set up future seasons with little to no concern with the state of the present one. Petrie and Ramirez certainly don’t concern themselves with giving their excellent cast anything good to work with. Cox brings the same angst and weariness to the role that he did last season, but Murdock is more of a plot mover than a full character. Hanson improves from last season, offering more realistic comic relief than in the past, only to be given tons of cheesy lines to deliver. Bernthal’s performance as Frank Castle, a.k.a. The Punisher, is spectacular, bringing emotional depth and blazing intensity to every scene he’s in. So it’s a shame that he’s essentially an inactive character for a good chunk of the season. Woll is a fantastic actress, but like last season, Karen languishes as a potential love interest, conducting bits of investigative journalism into tremendously dull conspiracies. Really, that’s the oddest but most pervasive problem with this season: it mostly repeats plot threads from the previous one, sometimes improving on past themes and other times rendering them more monotonous. The main trio of friends break up, again. Mystical plot points are teased in vague terms, again. Murdock and Nelson go to court, again. Characters have intense moral debates, again. The bad guy and the good guy aren’t so different after all, again. The show rarely improves its execution of these plot points, and ignores the chance to further develop side characters. Here, everyone is presented as a recycled plot or thematic point, with few opportunities to flesh out their existing roles. With a show as violent as “Daredevil,” however, the audience isn’t in a constant state of boredom. The titular character spends plenty of time brutally beating thugs and criminals while simultaneously being attacked himself. This was one of the best surprises of the first season of “Daredevil.” Murdock is not invulnerable; he’ll take a beating as much as he’ll give one, which adds a layer of tension to every fight scene. Even if it’s obvious that Murdock will come out on top, he won’t get there easily, and the brutality he endures makes the action thrilling. Matched with fantastic fight choreography, “Daredevil” was, and still is, great to watch when fights break out. Episode four, in particular, features a spectacular fight down a flight of stairs. The entire season, it seems, exists as an advertisement for future seasons. Want to see a romance blossom between Karen and Matt? Next season. Want to understand what all that mythical mumbo-jumbo meant? Tune in next time. Want to see actual character development, or an engaging plot? They’ll get to that, at some point. Instead, you can marvel at the things this show could be, even though it appeared as though this season was going to meet the potential that last season teased audiences with. No, you’ll just have to keep watching for another season. Or two. Or three. Or seven. Well, that seems like the smart way to end a season that featured violent prison riots, ninjas being stabbed in the eye, gang shootouts with civilian casualties, and more. Then, Matt reveals to Karen that he’s Daredevil, and the screen fades to black. Certainly, it would have been too much to ask for a solid conclusion to this long and weary season. Yes, Petrie and Ramirez are playing the long game, setting up threads and ideas that they can play with in future seasons while teasing and intriguing audiences in the meantime. Then again, it’s hard to see why setting up a story is more important than actually telling one in the present tense. But, silly me, I’ll just have to watch season three! I’ll care about everything then!